The aim of the current study was to understand how gangs have changed in the past 10 years since Pitts’ (2008) study in the London Borough of Waltham Forest. The study undertook interviews with 21 practitioners working on gang-related issues and 10 young people affected by gangs or formerly embedded in them. Two focus groups involving 37 participants from key agencies then explored the preliminary findings and contributed to a conceptualization of a new operating model of gangs. The study found that local gangs had evolved into more organized and profit-oriented entities than a decade earlier. The new operating model rejected visible signs of gang membership as ‘bad for business’ because they attracted unwanted attention from law enforcement agencies. Faced with a saturated drugs market in London, gangs moved out to capture drugs markets in smaller UK towns in ‘county lines’ activities. This more business-oriented ethos has changed the meaning of both territory and violence. While gang members in the original study described an emotional connection with their postcode, territory is increasingly regarded as a marketplace to be protected. Similarly, violence has moved from an expressive means of reinforcing gang identity to being increasingly used as an instrumental means of protecting business interests. The current study offers a rare opportunity to gain a picture of gangs at two time periods and contributes to work on the contested nature of UK gangs and renewed interest in gang evolution. These findings have important implications for local authorities and criminal justice agencies who need to address the profit motive of gang activity directly. Coomber, R., & Moyle, L. (2017). The changing shape of street-level heroin and crack supply in England: Commuting, holidaying and cuckooing drug dealers across ‘county lines’. British Journal of Criminology. https://doi.org/10.1093/bjc/azx068. McLean, R., Deuchar, R., Harding, S., & Densley, J. (2018b). Putting the ‘street’ in gang: Place and space in the organization of Scotland’s drug selling gangs. 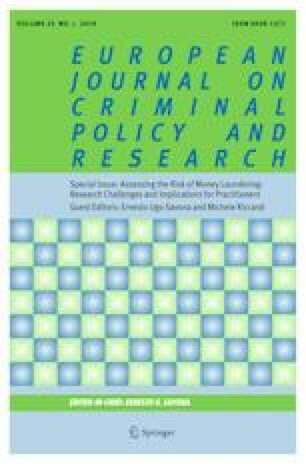 The British Journal of Criminology. https://doi.org/10.1093/bjc/azy015. Robinson, G., McLean, R., & Densley, J. (2018). Working county lines: child criminal exploitation and illicit drug dealing in Glasgow and Merseyside. International Journal of Offender Therapy and Comparative Criminology. https://doi.org/10.1177/0306624X18806742. Van Hellemont, E., & Densley, J. (2018). Gang glocalization: How a global mediascape creates and shapes local gang realities. Crime, Media, Culture. https://doi.org/10.1177/1741659018760107.